Adur council, West Sussex; caused by the resignation of Paul Graysmark, the leader of the UKIP group on the council, who was first elected in 2000 and had continuous sevice since a May 2013 by-election. He is retiring and moving to Scotland. That was the Arab Muslim geographer Muhammad al-Idrisi, writing in the middle of the twelfth century; and I’m not going to contradict his assessment of Shoreham-by-Sea. Mind, in the intervening years Shoreham has been overtaken in importance by the neighbouring towns of Brighton, Hove and Worthing. Worthing has escaped the normal depressed fate of seaside resorts by diversifying into financial services; Hove is, well, Hove; and despite the vagaries of Thameslink Brighton has become a favoured location for London commuters. In some ways Brighton is becoming a victim of its own success in that regard, as the cost of living there is now almost as prohibitive as in the Great Wen itself. Supply and demand being what it is, that means that those people who want to live on the south coast and commute to London are having to look to places which are not Brighton. 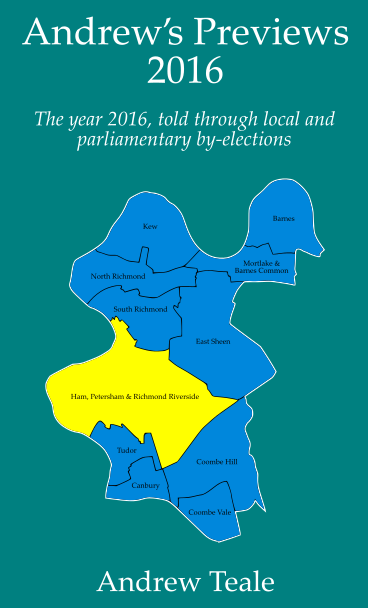 Places like Shoreham, which has swung a mile to the left politically within the last electoral cycle: between the 2015 and 2017 general elections the Labour share in the East Worthing and Shoreham constituency doubled from 20% to 40%, turning the seat into a Tory-Labour marginal for the first time. That wasn’t achieved by taking votes off the Conservative MP Tim Loughton, whose share was unchanged at 49%; instead the main losers were UKIP, who fell from 17% of the vote in 2015 to just 3% two years later. Clearly something very interesting is going on in this corner of the world, but then again if you look at Southlands ward on its own it might appear as if little has changed on the surface. 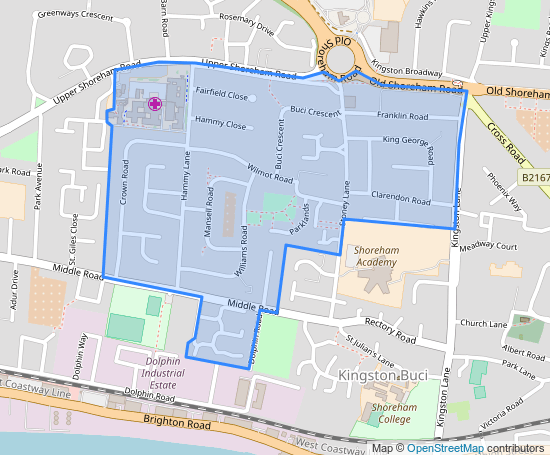 The ward is a tract of eastern Shoreham around Southlands Hospital; much of it is ex-council housing from the postwar period and its demographic profile is rather more working-class than neighbouring wards. Southlands is, and has been for several electoral cycles now, a knife-edge marginal. 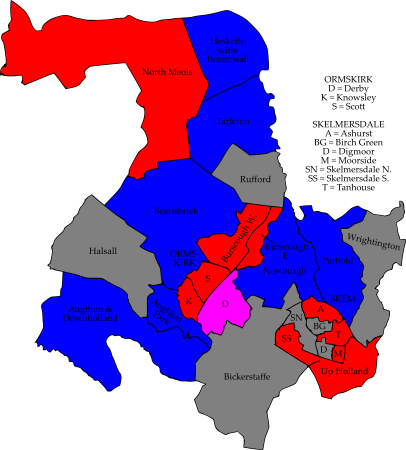 In the 2004 election, the first on the current boundaries, it split its two seats between the Conservatives and Labour; on the Tory side, that meant that Paul Graysmark lost his seat to his wife Laura. Awkward. The Tories convincingly gained the Labour seat in 2006 and things then looked set fair for them, until Paul Graysmark made a political comeback. Mr Graysmark was elected in 2012 for the Conservatives against a strong Labour resurgence, with a majority of just eight votes; but then he decided to gamble by defecting to UKIP and resigning to seek re-election in his new colours. The gamble paid off: Graysmark easily held the by-election in May 2013, and got a running-mate elected the following year. But things then started to get difficult for UKIP in Southlands. Graysmark was re-elected in 2016, but only just on an almost perfect three-way split: he finished twelve votes ahead of the Conservatives and twenty votes above Labour. UKIP then collapsed here in the 2017 West Sussex county elections, in which Shoreham North was a very safe Tory division. That collapse fed through to the 2017 general election the following month and to the May 2018 Adur district elections, in which UKIP resoundingly lost Southlands by finishing last with just 5%. But it wasn’t the Tories who picked up – it was Labour, winning a seat in Southlands for the first time in fourteen years with 42% to the Tories’ 41%, a majority of eleven votes. That was one of four Labour gains in this district in MAy, as the party became the official opposition on Adur council. So Paul Graysmark has resigned his seat for the second time in five years. This time he is not seeking re-election; not only that, there is no defending UKIP candidate so we have a free-for-all! The Labour candidate is Debs Stainforth, who is currently training as a psychologist and, according to Labour’s press release, has worked in housing, homelessness and family work for many years. The Tories’ Tony Nicklen returns after his near-misses in 2016 and 2018; he is a technical coordinator in food manufacturing. Completing the ballot paper is Andrew Bradbury, for the Green Party. Halton council, Cheshire; caused by the disqualification of Labour councillor Shaun Osborne, who failed to attend any meetings of the council in six months. A former Mayor of Halton who had served for over twenty years, Osborne has been unable to attend meetings due to poor health over the last eighteen months. We start our tour of the Labour North with a quote attributed to the singer-songrwriter Paul Simon, and I’m not going to contradict his assessment of Widnes. Back in the 1960s Simon travelled to Widnes to play a gig and then had a long and depressing wait for a train home, during which he started to a write a song which became Homeward Bound, a huge hit for Simon and his then musical partner Art Garfunkel. A plaque on Widnes railway station commemorates the writing of the song with a slightly worrying lack of irony; but it seems more likely that Simon was actually at Ditton railway station, on the Crewe-Liverpool line, which subsequently closed in 1994 – the first railway station to close after the privatisation of British Rail. To the south of the former Ditton station is Halebank, an industrial village on the north bank of the Mersey; while to the north lies part of Widnes proper, the Ditton and Hough Green areas. 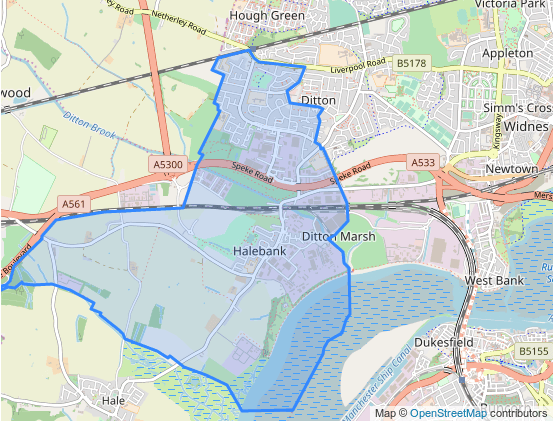 Parts of Hough Green are quite well-off, but the political tone of this ward is set by Ditton and Halebank which are strongly Labour. The Labour party have only lost Ditton ward once in this century, to the Conservatives in 2006 by twenty-nine votes; and that must be put down to a personal vote for the Tory candidate Colin Rowan. After losing his seat in 2010 Rowan became chairman of Halebank parish council, and he made an attempt to get back onto Halton council as an independent candidate in May’s ordinary election: in a straight fight, Labour defeated him by 62-38, which is a relatively low Labour score for the area. Defending this by-election for the Labour Party is Edward Dourley. Rowan has not returned, but there will be a contested election as Dourley is opposed by Daniel Clarke for the Conservatives and David Coveney for the Liberal Democrats. Warrington council, Cheshire; caused by the death of Labour councillor Allin Dirir at the age of 79. Born in Somalia, where he became the country’s youngest-ever political party leader aged 16, Dirir studied at Alexandria University in Egypt before coming to Britain to study at Lancaster University. He married his wife Linda – who still sits on Warrington council – in 1970, and they settled down in Penketh to raise a family and become pillars of the community. Allin Dirir was the first Somali ever to be elected to public office in the UK – winning a seat on Penketh parish council in 2000 – and he was elected to Warrington borough council in 2012, some years after acting as consort to Linda during her mayoral year. He leaves behind Linda and their four children. We travel across Widnes from west to east and cross the border into the Borough of Warrington. Penketh marks the western end of Warrington, and is a rather affluent part of the New Town. There is some commuting to Liverpool and Manchester from Sankey railway station just outside the ward boundary, although this is expected to reduce once the new Warrington West station opens later this year. Much of the housing is postwar, but owner-occupation here is extremely high. As is, by all accounts, pride in the community; a local resident and quiz friend of mine reports that Penketh parish council is well-off enough to own and run a well-used community centre and swimming pool. By contrast, Warrington borough council are trying to concentrate their services in this part of town in Great Sankey, to which there is no bus service from Penketh; the main council services in the ward are schools and Penketh library, which is under threat of closure. However, Penketh and Cuerdley are probably best known to the world outside Warrington for exporting electricity: here can be found the giant coal-fired power station at Fiddler’s Ferry, whose cooling towers dominate much of the Cheshire and Lancashire plain. This has historically been one of the better wards for the Conservatives in Warrington; the party won one seat out of three here in 2004, held it in 2006 and gained a second seat in 2008. Since then it’s been all Labour – Allin Dirir completing the wipeout of the Tories in 2012 – but the Conservative vote has not utterly collapsed here as it has elsewhere within the cultural orbit of Liverpool. There were new boundaries here for the 2016 election in which Labour beat the Conservatives by 51% to 41%; so despite the good Labour result in the local Warrington South constituency in the following year’s general election, the party cannot afford to be complacent. Defending for Labour is Kenny Watson, chairman of the party’s Momentum branch. The Tory candidate is Philip Hayward, who fought Chapelford and Old Hall ward in the 2016 borough elections and again in a by-election last October where he performed poorly. Also standing are David Crowther for the Lib Dems, Stephanie Davies for the Green Party, independent candidate Geoff Fellows – who won a by-election to Penketh parish council in April – and UKIP’s Ian Wilson. West Lancashire council; caused by the resignation of Labour councillor Robert Pendleton. Pendleton was a veteran of local government, having been first elected to West Lancashire council in 1983; he was only re-elected in May for his tenth term of office. He had served as chairman of West Lancashire council in 2008-09, and had also been a Lancashire county councillor until 2009 when he lost Skelmersdale East to the Conservatives. Would you like a commute without traffic lights to punctuate your journey? Where the traffic always flows freely? Well, as the old saying goes, be careful what you wish for: for we finish our mini-tour of towns between the Ribble and the Mersey with a place which – while it doesn’t contain a single traffic light – not many people seem to have a good word for. Like Warrington, Skelmersdale is a New Town, but unlike Warrington it’s a New Town that never realised its full potential: fewer than 40,000 people live there and they still get lost in the maze of roundabouts that is the town’s road network. Skem was built for and almost entirely populated by people rehoused from Liverpool and its satellite towns, and despite its short life has inspired one of the major works of British musical theatre: the second act of Willy Russell’s Blood Brothers, which ran in the West End for nearly a quarter of a century, is set in Skelmersdale. Listen to the song above – which closes the first act of Blood Brothers – and you’ll get some idea of how a new life in Skem could seem appealing. Of course, that’s only Act One, and there’s plenty of time in Act Two for things to go as pearshaped as some of Skem’s roundabouts. Skem votes like it’s a part of Merseyside and always has done. The town supplies the Labour majority on West Lancashire council and in the West Lancashire constituency, and Tanhouse ward in the east of town – despite a scare from the Tories in a 2008 by-election – is no different to the general pattern. This is the sort of place where the Labour votes are not counted but weighed; in May’s ordinary election the readout from the Tanhouse scales was 85% for Labour’s Robert Pendleton against only Conservative opposition. Last year’s county council elections suggest that this is a relatively weak Labour area within the Skelmersdale Central county division, across which Labour polled 88% of the vote. So don’t expect electoral fireworks here. Defending this by-election for Labour is Ron Cooper, who is opposed by the Tories’ Alexander Blundell and independent Aaron Body. Hartlepool council, County Durham; caused by the resignation of Labour councillor Paul Beck who had served since 2012. The Mayor of Hartlepool in 2017-18, Beck is standing down partly to care for his wife, who is in poor health; and partly due to a row over candidate selection for the 2019 elections which has seen several Hartlepool Labour councillors deselected. We finish the week as we started it, in a coastal town. The much-misunderstood town of Hartlepool is the major settlement on the Durham coast, having been founded in the seventh century by St Aidan; the name derives from “hart” as in “stag”, and the north of the town still has a large number of “hart” placenames. Chief among those is Hart village, a rather nice place bypassed by the main road west towards Durham. Hart has a very old history: its church, dedicated to St Mary Magdalene, predates the Norman conquest, and in the twelfth century the lords of the manor here were the de Brus family, one of whom – Robert de Brus VII – is better known to history as one of the famous kings of Scotland. 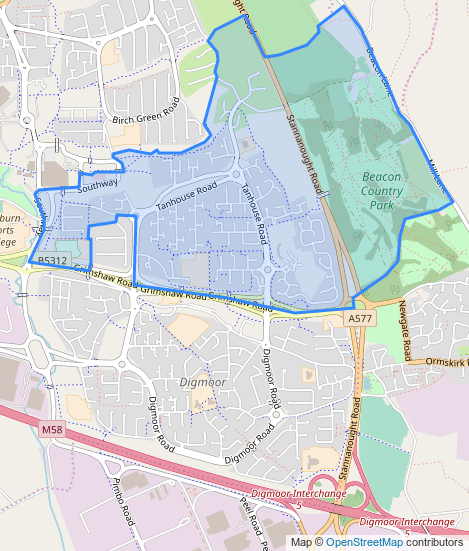 However, Hart village has only formed part of the Hart ward since 2012. Hart ward is instead focused on the northern end of the town of Hartlepool, along the Hart Road and the Coast Road. This is a fast-growing area where a lot of new housing estates have sprung up over the last thirty years or so. Hart ward has high employment levels – very high by Hartlepool standards – and the version of the ward which existed at the time of the 2011 census made the top 70 wards in England and Wales for Apprenticeship qualifications, reflecting the town’s manufacturing base. Local politics in Hartlepool has never been quite the same since, well, since the Major government. Even before the Monkey Mayor came on the scene in 2002 the Labour party’s grip on the town had been well and truly loosened, and the story of the last decade and a half here has been one of political fragmentation between a galaxy of localist groups, independents and UKIP. 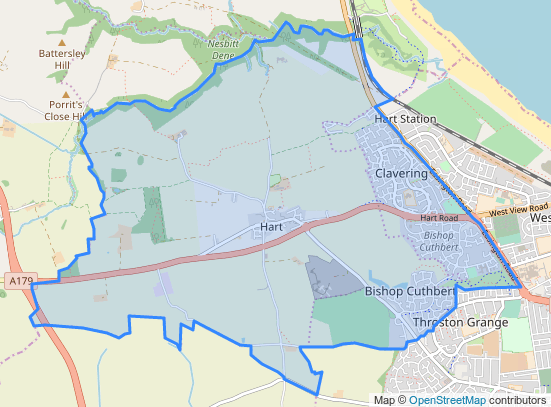 Hart ward is no different: it was a Lib Dem hotspot until the Coalition put paid to the Lib Dem vote in Hartlepool, and the 2012 election – the first on these boundaries – returned two Labour councillors and an ex-Lib Dem independent. In a close four-way result, the independent councillor lost his seat in 2014 to the localist party Putting Hartlepool First; Labour held the other two seats in 2015 in 2016, with UKIP close behind on both occasions. In May 2018 Putting Hartlepool First didn’t defend their seat, but it went to another independent rather than reverting to Labour; shares of the vote were 44% for the independent candidate Thomas Cassidy, 39% for Labour and 17% for the Conservatives. Defending this by-election for Labour is Aileen Kendon, who returns to the campaign trail after being the losing Labour candidate here in May. The independent charge is led by James Brewer, who was runner-up in a by-election last July for the neighbouring Rural West ward. The Tories have gone for youth by selecting 19-year-old Cameron Stokell, a politics student at Sheffield Hallam University and talented field hockey player. Completing the ballot paper is Michael Holt for the Green Party. Whoever wins this by-election is unlikely to be able to rest for long, as they will be up for re-election next May.